This Lancaster Table & Seating elegant folding luggage stand is perfect for holding suitcases at hotels and motels! The solid wood construction of this suitcase stand adds a more upscale appearance to any space. 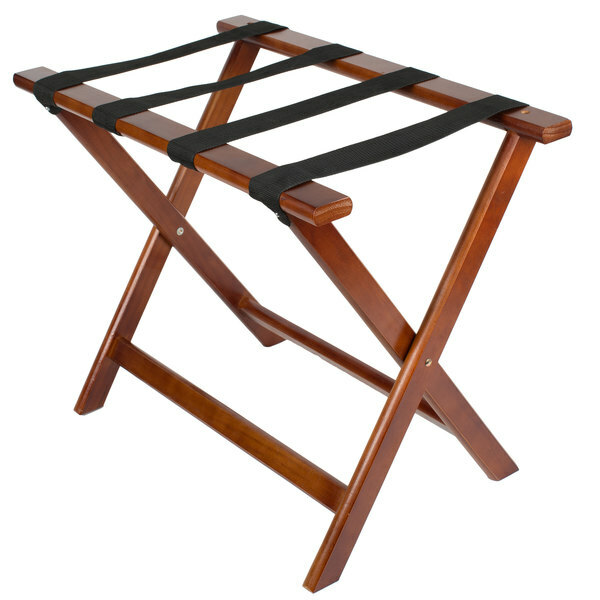 This luggage stand features four nylon straps for support, handling up to 66 lb. in weight. Plus, it can be folded flat for easy storage.